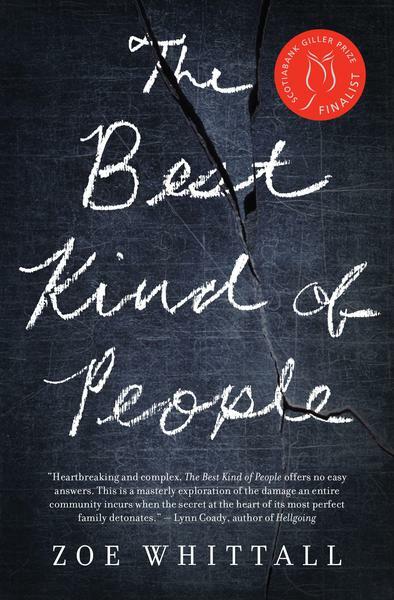 I just finished the book The Best Kind of People by Zoe Whittal. It's a good book and a pretty easy read so I would recommend picking it up. The basic plot is that a well known and popular private high school teacher gets arrested for allegedly sexually assaulting/harassing some students. This happens in the first chapter (after the prologue) and then the story is told from the point of view of his wife and two children. 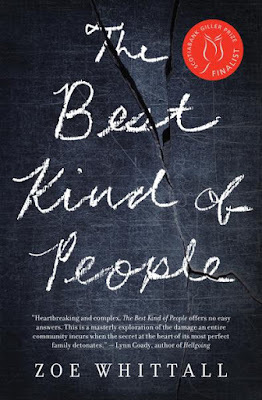 The title refers to their position as a well off family with deep roots in a small town, they are "the best kind of people" so how could this happen in their family? We don't really know what he did or did not do for most of the book but he isn't given a voice which is interesting because we are only left to speculate along with his family. The story features some predictable characters but also a few nuanced ones that were unique and worked with the plot. The storyline is very timely given the current revelations about harassment and abuse in Hollywood. I liked that it examined the consequences that the family faces because of accusations, true or otherwise. Sure if someone has done a bad thing, then they should be held accountable, but their family didn't do anything wrong. One small thing that bothered me was that reference is made right at the beginning to the father being a strong figure in the United Church (which happens to be the church we go to). So I immediately thought, "oh, does this book take place in Canada?" because the United Church is a purely Canadian invention, it does not exist in the US. But then I kept reading and it became clear that it was set in the US. So this little thing bothered me because the author could have chosen reference to any church, not the United Church, and it would have been fine.